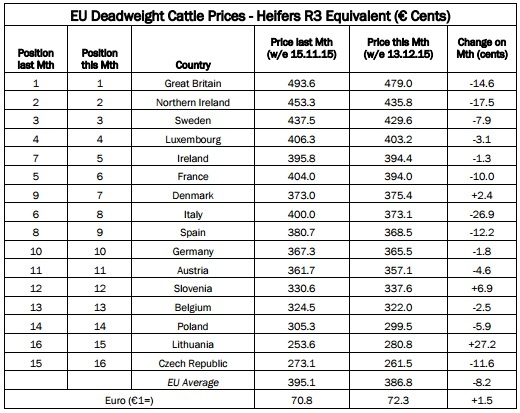 Ireland is back in fifth on the EU deadweight heifer price league table, up from seventh from the corresponding period last month. The average R3 heifer price in the Republic was 394.4c/kg for the week ending December 13, 2015. 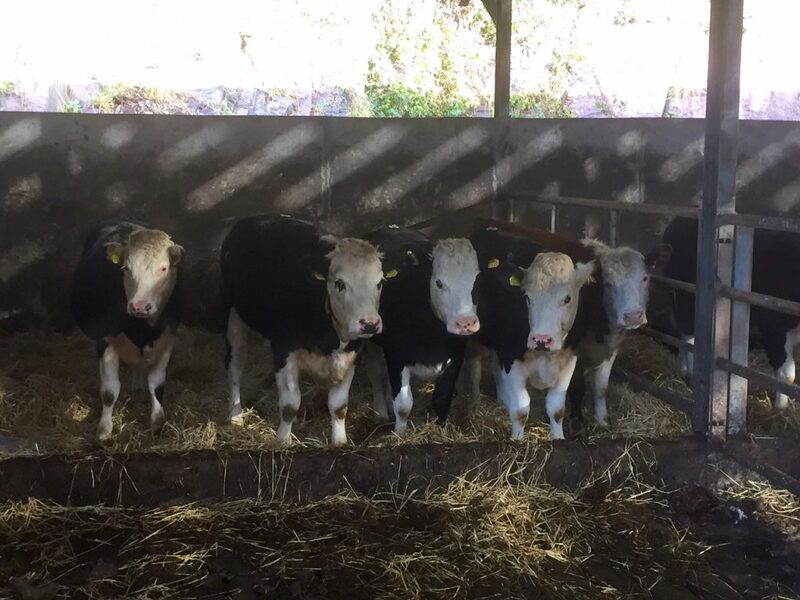 The figures from the Livestock and Meat Commission (LMC) show that this was down 1.3c/kg from the 395.8c/kg paid in the week ending November 15, 2015. This latest heifer price for the Republic placed it 7.6c/kg above the EU average price. In Northern Ireland, for the week ending December 13, 2015, the average R3 heifer price was the equivalent of 435.8c/kg. This was down 17.5c/kg from the 453.3c/kg paid in the week ending November 15, 2015, according to the LMC. 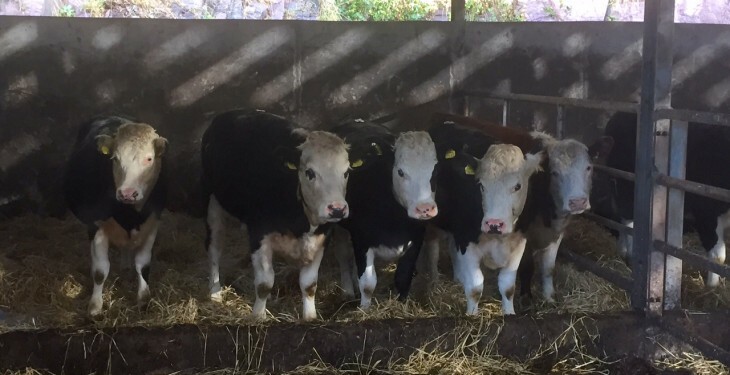 The Northern Irish R3 heifer price was 49.0c/kg higher than the EU average in the week ending December 13, compared to 58.2c/kg in the week ending November 15. Northern Ireland retains its second place spot on the heifer price league table. Comparing the heifer price between the North and the Republic, the price in the Republic was 41.4c/kg lower than the equivalent price in the North. Looking to Britain, the average R3 heifer price was the equivalent price of 479.0c/kg in the week ending December 13. This was a decrease of 14.6c/kg compared to week ending November 15, when it was the equivalent of 493.6c/kg. from 98.5c/kg in the week ending November 15 to 92.2c/kg in the week ending December 13.
from 395.1c/kg in the week ending November 15. The euro was up at €1= 72.3p in the week ending December 13, according to the LMC.